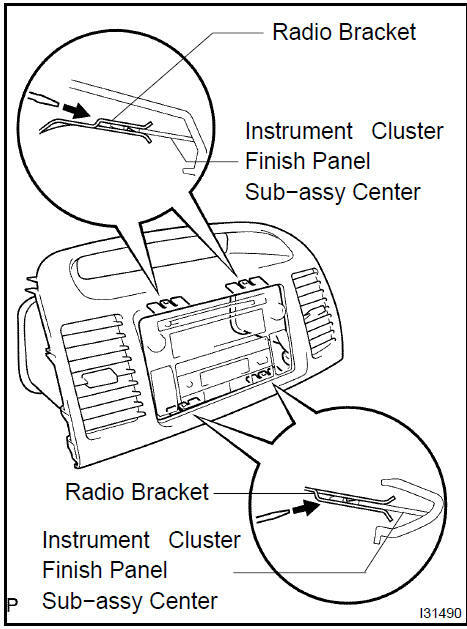 Insert a screwdriver at indicated point and remove the radio receiver assy from instrument cluster finish panel sub−assy center. Remove the 4 screws and radio bracket No.1. Remove the 4 screws and radio bracket No.2.